Release Date:08/25/2017;Notes:Reissue. Double vinyl LP pressing. 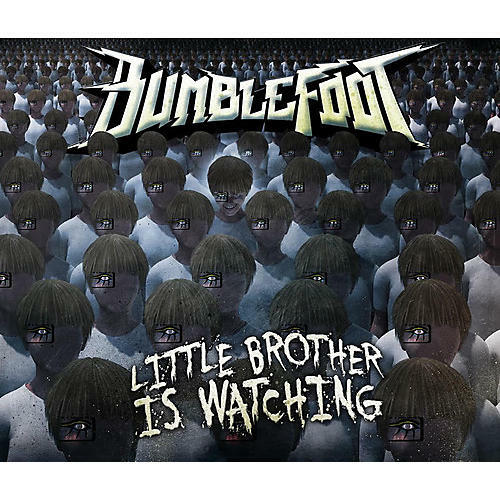 2015 release, the tenth studio album by recording artist Ron "Bumblefoot" Thal. Little Brother Is Watching was his first solo album of original material since 2008's Abnormal. The album was composed, produced, recorded, mixed and mastered entirely by Bumblefoot himself in his in-home studio, and features Dennis Leeflang on drums. Thal stated that Queen, David Bowie, George Harrison and Iron Maiden were influences for the album, as well as Stevie Wonder, Manowar, and Guns N' Roses. Thal mentioned going to a David Bowie exhibit at a museum in Brazil was the catalyst for him to start writing while on the road with Guns N' Roses.